Murfreesboro, TN - The biggest shopping day of the year is just around the corner, and Stones River Mall wants to help fill your Christmas stockings! 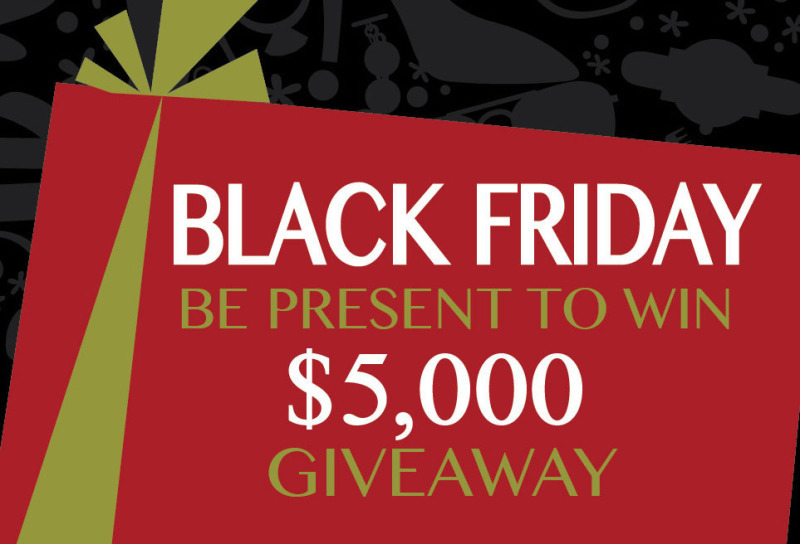 As part of its Black Friday festivities, Stones River Mall will award lucky shoppers more than $5,000 in prizes and gift cards during its Be Present to Win Giveaway on Friday, Nov. 27. Drawings will be held every 15 minutes from 10 a.m. to noon on Black Friday. Entrants must be present to win and at least 18 years old to register. Shoppers are invited to register for the giveaways beginning at 6 p.m. on Thanksgiving Day, near the Children's Play Area in front of JCPenney. "Our Be Present to Win Giveaway was a huge hit last year with shoppers taking home dozens of fantastic prizes," explains Melinda Noblitt, marketing and events manager for Stones River Mall. "We have decided to offer $5,000 worth of giveaways again this year as a way to thank our shoppers for supporting our retailers throughout the holiday season." In addition retailer gift cards ranging from $50 to $250, shoppers can enter to win His & Hers fragrance baskets from Dillard's, Keurig from JCPenney, an electric fireplace from Sears, diamond earrings from Jewel Rush, and much more. Visit stonesrivermall.com for a complete list of prizes. To better serve shoppers looking for great deals this holiday, Stones River Mall will open from 6 p.m. to midnight on Thanksgiving Day and 6 a.m. to 9 p.m. on Black Friday. "Because many retailers have opted to remain open overnight, Stones River Mall doors will remain open, as well," Noblitt explained.